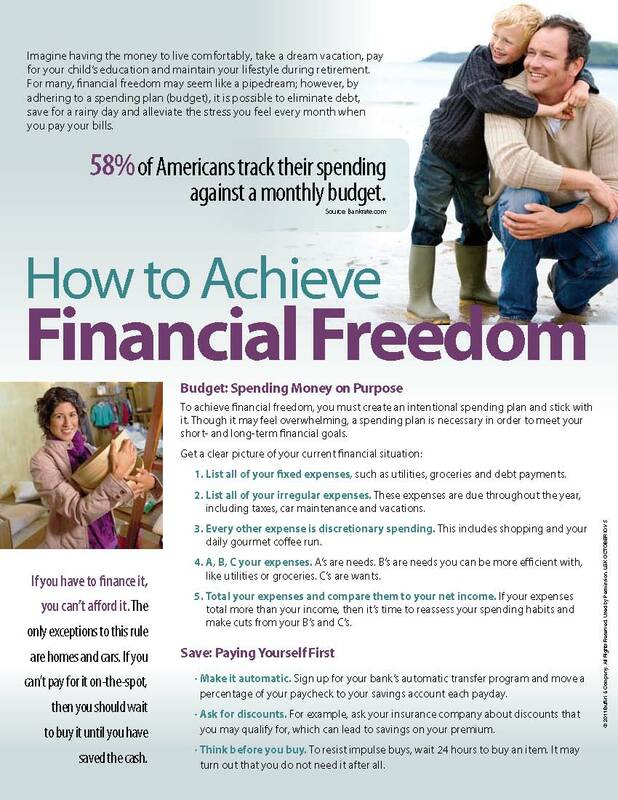 If you're like millions of Americans, you dream of the day when you will be debt free. The economic recession has prompted many families to restrict spending in order to take control of their finances, pay down outstanding debt and make saving a priority. In fact, the average household debt has fallen over 8.2% since it's peak in 2008. * For many people, eliminating household debt feels unattainable; however, with the right tools, anyone can take control of their spending and begin to build wealth. This month, I have tips on my website to help you break the cycle of debt and achieve financial freedom. 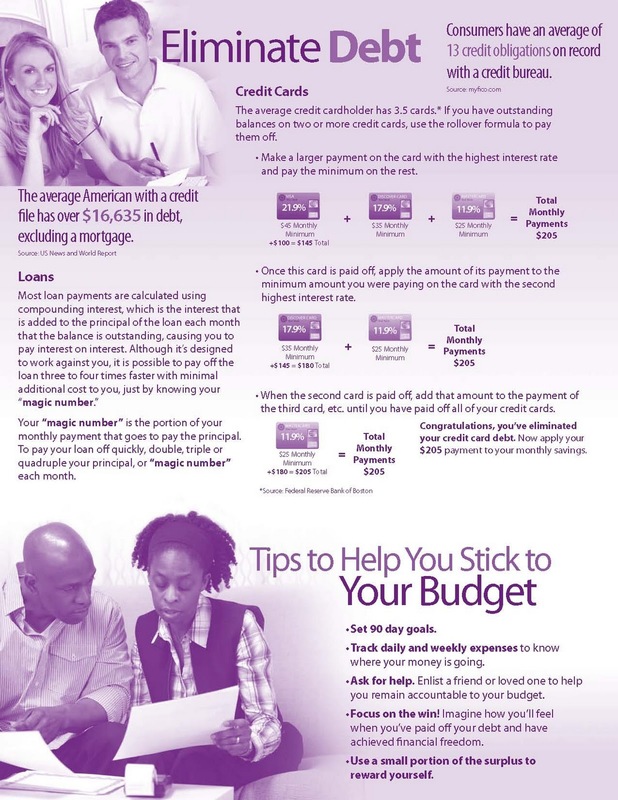 The first page outlines steps you can take to create a budget and save money. Page two details a plan to eliminate debt from credit cards and loans in a fraction of the time it would traditionally take. Feel free to share this information with your Family and Friends who are looking to get out of debt and improve their financial security. If you have any questions or would like more information, please contact me any time via email, facebook, twitter, townepost or phone! I am a member of some financial communities. I came across your website: usaray.com and found it very informative and helpful. I would like to send you an article as a guest post (relevant to your site). It will be my pleasure if I can contribute some quality content. Please kindly let me know how and where should I send you the article. Waiting for your quick response.